1. A deposit of 50% is required at the time of booking per reservation. 2. Deposits are payable by Visa or Mastercard. 3. The balance is payable upon registration in full by cash, debit or credit, including provincial and federal taxes. 5. Deposits can be refunded, less a $40 service charge, if cancellation is received over 45 days prior to arrival date. 6. If cancellation is received between 45 days to 48 hours prior to arrival date, your deposit will be held as credit, less a $40 service charge, towards your next stay. If we are able to re-sell your reservation, then your deposit, less the $40 service charge, will be returned to you. 7. Registrants who cancel less than 48 hours prior to check-in date will be held responsible for the balance of their reservation. 8. No refunds or discounts will be given for late or early departures. 9. Resort facilities are for registered guests only. 11. Your verbal authorization to use your credit card number for your deposit indicates your compliance with our booking terms and conditions. 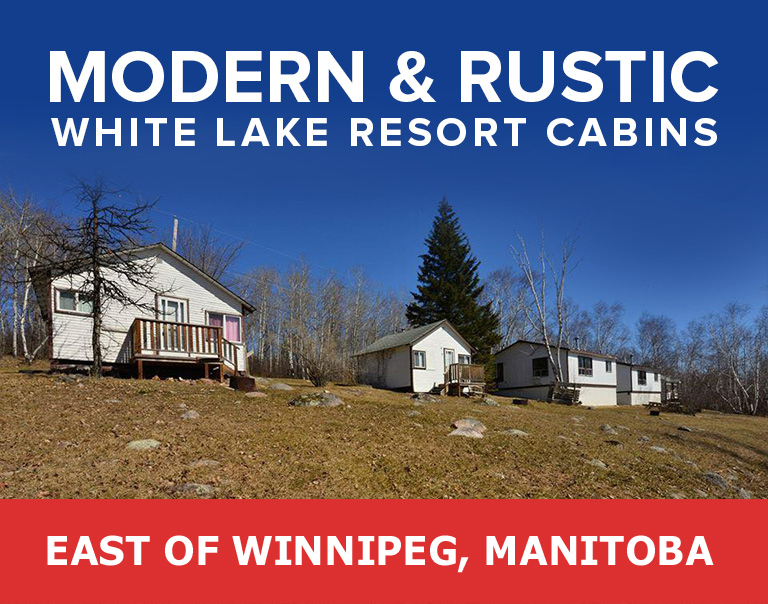 White Lake Resort cannot accept responsibility for weather conditions. It is the responsibility of the customer to plan their arrival time appropriately, taking into account road and weather conditions. 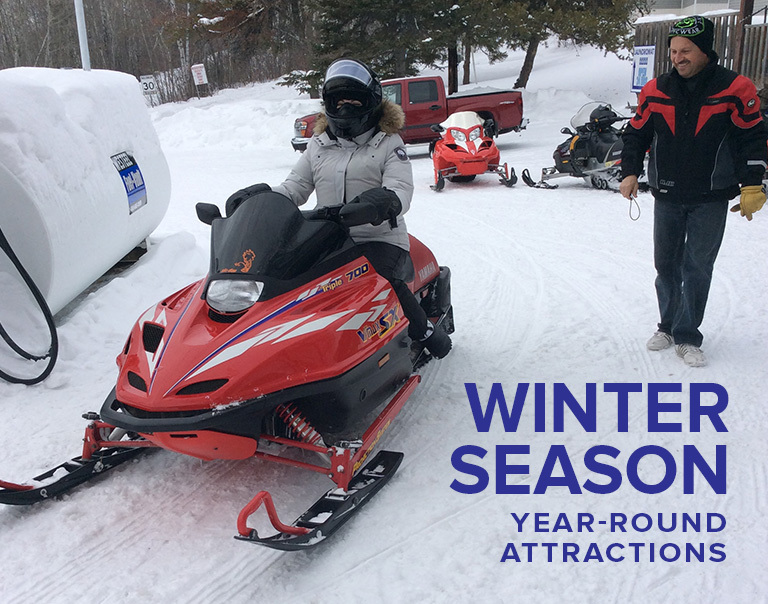 If the Highways Department closes highways #15 and #44 East of Winnipeg or #1 from Ontario to #44 prior to 4:00 p.m., White Lake Resort will offer a credit equal to the deposit paid, to be used during the same winter season. 1. Confirmation of a pet friendly cabin must be arranged prior to check-in. 2. All pets must be kept on a leash and with owners at all times. 3. Owners are required to clean up after their pets on resort property. 4. The cost is $25.00 per visit per pet. 5. Subject to additional charges after the cabin has been inspected for damages. 6. Pets must be supervised at all times and not left in cabin or verandas unattended. 7. Pets are to remain off the furniture. 8. Cabins must be vacuumed prior to check-out. Vacuums are provided in each cabin. 1. Guests are expected to leave the cabins in similar condition as to how they were upon arrival. As such, a minimum charge of $30 will be added to the bill for dishwashing, putting items back to where they were upon arrival, etc. 2. If an accident occurs during a guestâ€™s stay, that guest shall be responsible for all costs incurred to replace or repair the building, furnishings, or grounds. 3. We cannot be held responsible for any items left behind after your stay. Should you leave an item behind, please contact our office as soon as possible and we will do our best to retrieve your item for you. Smoking is not permitted in the cabins. Smoking is permitted outside or in the verandas only. Ashtrays are provided in the verandas. Smokers are asked to keep butts in ashtrays as both a safety and hygienic precaution. Any guests found smoking in the cabins will be asked to leave and may incur an additional cleaning fee of a minimum $500.